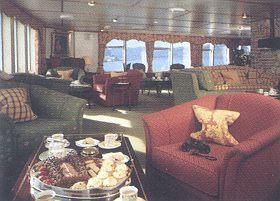 Registered Owner: HP Shipping Ltd - UK - Operator: Hebridean Island Cruises - UK - an All Leisure Group comp. 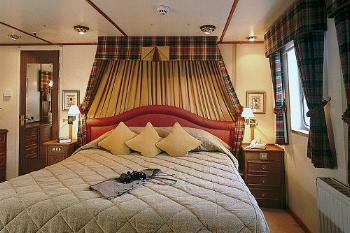 April 09-2009 Hebridean Island Cruises has filed for administration. 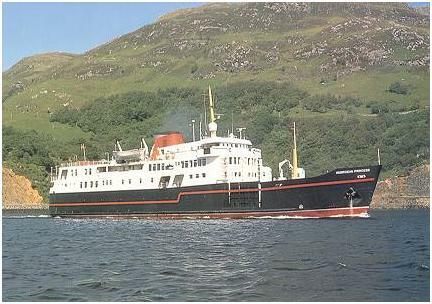 The Hebridean Spirit has been loss making for some time and although it has now been sold it has impacted on the funding of the remaining group. 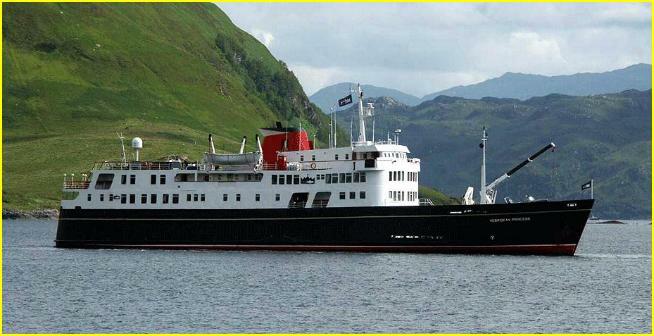 This means that unfortunately the company that owns the Hebridean Princess has filed for administration. 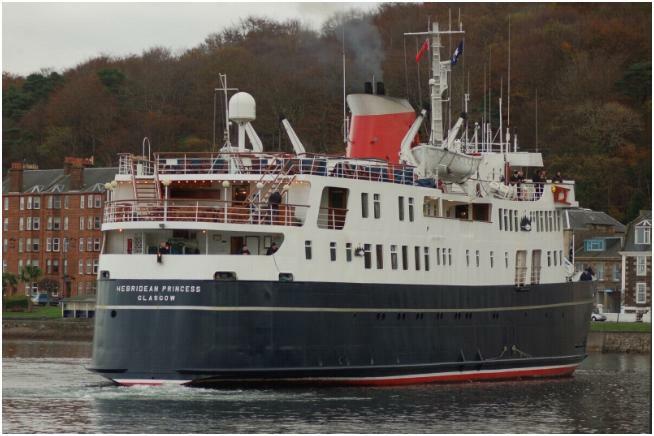 April 22 -2009 All Leisure group plc, which operates Swan Hellenic and Voyages of Discovery, is pleased to announce that it has purchased the unique small cruise ship, Hebridean Princess. 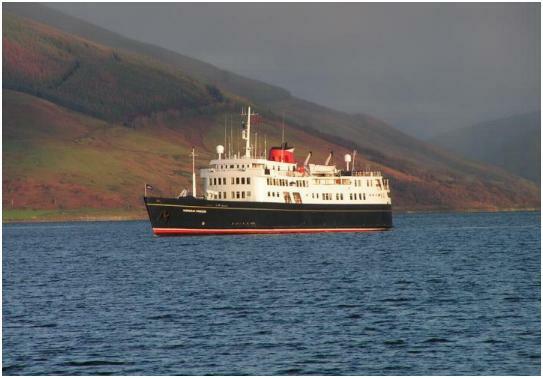 All Leisure group plc is keen to ensure that the Hebridean Princess will continue to offer distinctive cruises around the Scottish Highlands and islands and through the Norwegian fjords and will continue to operate from its head office in Skipton. 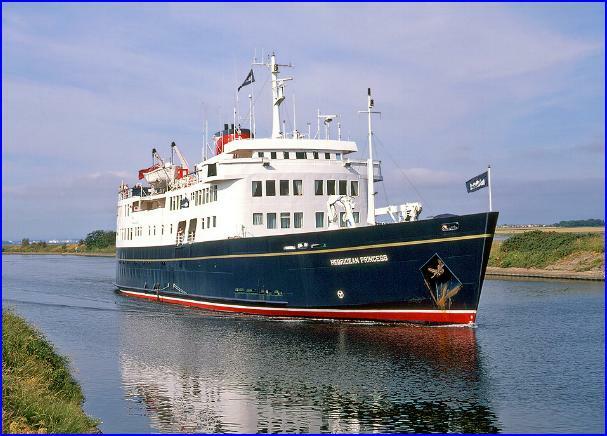 All Leisure Holidays Ltd has entered into an agreement for the sale and leaseback of the Hebridean Princess cruise vessel and certain related assets to HP Shipping for GBP2.9 million in cash. 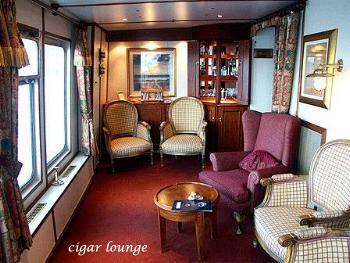 HP Shipping is a new company which is wholly owned by a syndicate of private investors, including Roger Allard. 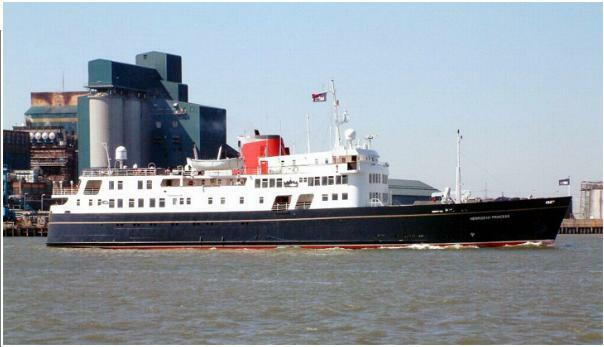 March 2010 - The work, undertaken at the Middlesbrough yard of A&P Tees, was the final part of a four-year programme to ensure the 1964-built Hebridean Island Cruises vessel complies fully with new design and construction regulations coming into force later this year. 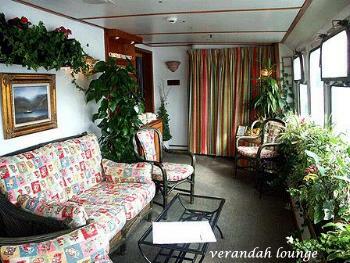 In addition, many public areas were refreshed with new carpets, upholstery, furniture and lighting in lounges and new carpets, bulkheads and deckheads in most of the passenger alleyways. 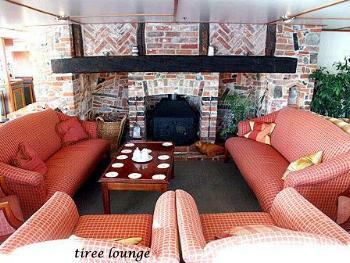 The Tiree Lounge, Library, Conservatory, Look Out Lounge and Columba Restaurant all received attention with the lounges having been totally refurbished. In other work, the engines and auxillary engines underwent a full overhaul, the teak decks received attention and crew accommodation was upgraded. 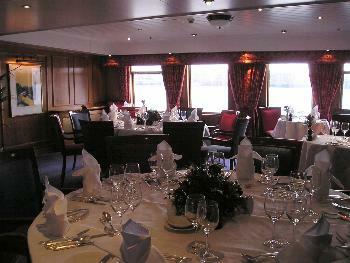 The hull colour has been returned to the traditional dark blue after spending last year in a different livery. 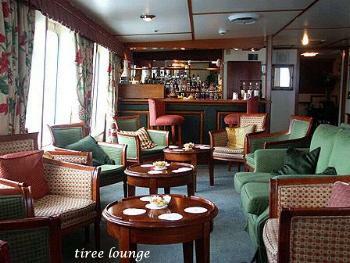 Former name: Ferry Columba converted to cruiseship in 1989.